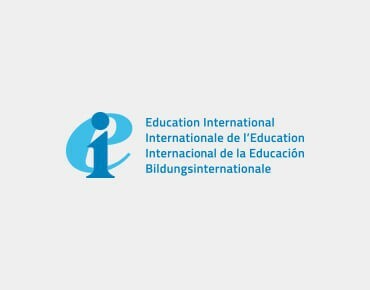 Education International (EI) has brought the voice of educators to the World Intellectual Property Organisation (WIPO), with a strong call for wider access and exceptions with regards to copyright in education. From 13-17 November, the WIPO continued its deliberations at the 35th session of the Standing Committee on Copyright and Related Rights (SCCR) in Geneva. In a panel on Copyright and Education in the Digital Environment, EI representatives stressed the vast opportunities that digital technologies can bring to education institutions. These include providing teachers and Education Support Personnel with access to open educational resources and materials such as videos or pictures. EI highlighted how, at the same time, technological infrastructure can foster collaboration and exchange within education institutions and beyond. However, access to materials such as videos and pictures is often limited as domestic copyright legislation does not provide for copyright exceptions that allow teachers to access these materials. In addition, copyright law differs in all countries, making it difficult to work across countries when some are allowed to have access to certain materials and others not. At the moment, copyright legislation does not often work effectively for education, according to EI. Whilst there are increasing surveillance and enforcement mechanisms, it is often the publishers’ lobby that dominates the discussions at national and global level. EI stressed that it is important to involve education stakeholders, such as teachers and education unions and other civil society actors, in the development of copyright law. In a statement to the SCCR, EI stressed the importance of all UN agencies aligning their effort to achieve the Sustainable Development Goals (SDGs). This also includes the need to equip qualified and trained teachers with adequate access to “books, other learning materials and open educational resources”. Far too many teachers, researchers, and students do not have affordable access to the materials they need to provide quality education. EI believes that WIPO, as a specialised UN agency, has an important role in achieving SDG 4 in particular. It can do so through the work of this committee on limitations and exceptions through working towards an​ ​appropriate international​ ​legal​ ​instrument​ ​on​ ​exceptions​ ​and​ ​limitations​ ​for​ ​educational purposes that balances the rights of users and creators in using materials for non-commercial, educational and research purposes. This is a demand by many governments in developing countries where education institutions have limited access to materials. Paradoxically, at the international level, EU countries and other states with mandatory exceptions oppose the demand of developing countries to develop global minimum standards. It will be essential to involve education stakeholders, such as teachers and education unions, students, researchers and other civil society actors. An inclusive and transparent process will not only contribute to developing an international framework that makes sense for education, but also create ownership and increase the chances for successful national implementation. Professor Daniel Seng presented the WIPO-funded study on copyright limitations and exceptions for education. It is a cross-border study that compares copyright legislation in all WIPO member states. The study showed that many legal frameworks are not fit for the digital age where teachers, researchers and students use an increasing number of digital materials and work collaboratively across borders. Among other things, his research showed that 60 per cent of WIPO member states do not provide flexibilities for TPM/RMI circumvention. This is concerning considering that a recent EU Commission study shows that this is the biggest obstacle by users of digital works in education. Another example from the study is that the adaptation of literary dramatic works for the purpose of performing a play in school is not permitted by the majority of WIPO states. Despite the increasing awareness for the need for action, the SCCR could not agree on a draft action plan to move the education agenda forward with industrial countries opposed to a normative agenda for education. The new draft action plan will be discussed next year and EI has highlighted that it is important to work in a collective effort to pressure government to adopt an action plan. The new action plan should be transparent and inclusive and lead to broadening access to affordable materials and fewer barriers for collaboration across borders in education.